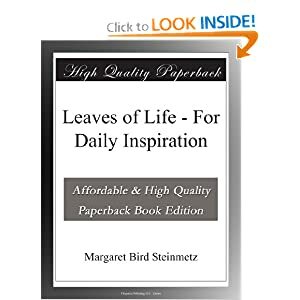 Leaves of Life - For Daily Inspiration is presented here in a high quality paperback edition. 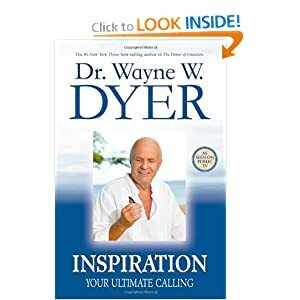 In this groundbreaking book, Dr. Wayne W. Dyer explains how we’ve chosen to enter this world of particles and form. Learn how to use that powerful inner force that tells you to never give up, never look back and never settle for less than you know you deserve. Inspired by real life experiences of seven ordinary people who overcame difficult challenges, Seven Roads to Glory offers a roadmap for realizing the life you want and deserve. The Power Of Thought: How To Get What You Want, When You Want It (includes 2 books). Powerful quotes with fun, easy actions to become a confident, happy, healthy woman living her dreams. Written by empowerment life coach Leslie Bishop, this book is a positive, good feeling and spiritual approach on how to look at disease differently and recreate your experience of it! Discover how one couple took control of their cancer treatment. Against the odds they beat cancer and learned to live a healthier and happier life.